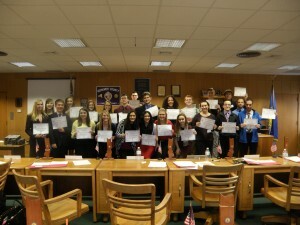 Thirty-two Herkimer County 4-H members participated in 4-H Public Presentations held at the Herkimer High School on Thursday, March 3rd. This entry was posted in admin and tagged 4-H, herkimer county on March 10, 2016 by Gina Greco. Herkimer County 4-H members participated in a 4-H Cake Decora-ting Workshop held at the Herkimer Reformed Church on Saturday, January 16th. This entry was posted in admin and tagged 4-H, Herkimer County 4-H on January 21, 2016 by Gina Greco. 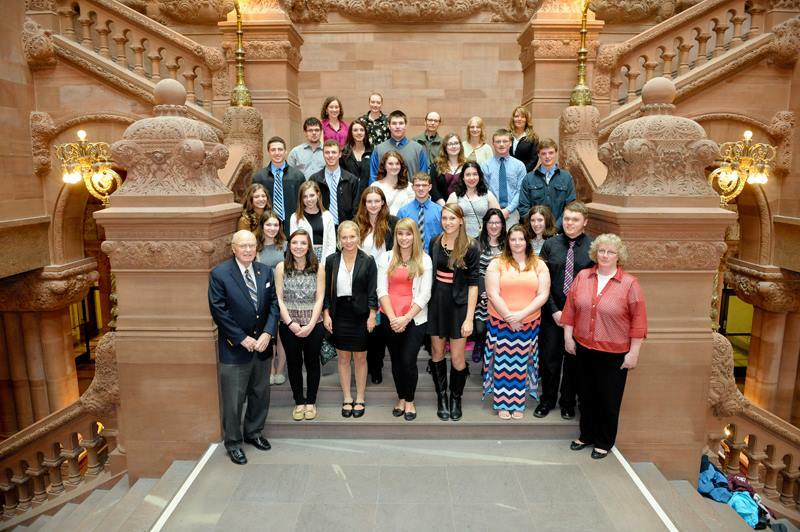 Six Town of Webb UFSD students were among the twenty-three high school students representing seven Herkimer County high schools participating in the 4-H Government Intern Program at the Herkimer County Legislative Chambers this fall. 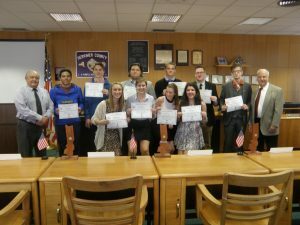 Chloe Brosemer, Vicky Franco, Rebecca Sessions, Westley Lamphear, Jessica Norrs, and Casey Hamlin joined students from Central Valley, Herkimer, Dolgeville, Mount Markham, Frankfort Schuyler, and West Canada Valley High Schools for four sessions of programs that provided them with insight on the legislative process. This entry was posted in admin and tagged 4-H, town of webb school, webb students on December 3, 2015 by Gina Greco. 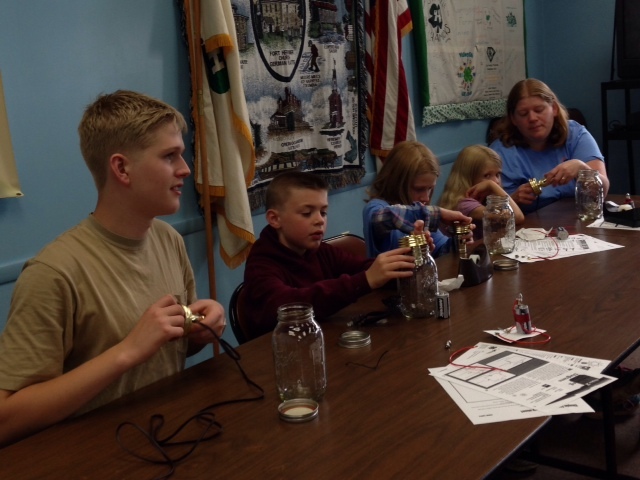 “Making lamps,” from left, are James Luck Jr., Collin Bick, Elorah and Keturah Luck and 4-H Volunteer Melonie Luck. Cornell Cooperative Extension of Herki-mer 4-H Program held a workshop on electricity on Monday, June 29 with a dozen 4-H members participating in hands on activities with simple circuits. The youths worked in teams to create a simple flashlight using just a battery, bulb, and a piece of wire. This entry was posted in admin and tagged 4-H on July 2, 2015 by Gina Greco. Twenty-five students representing five Herkimer County school districts visited the State Capital on Wednesday, April 21 as a culmination of the 4-H Government Intern Program sponsored by the Herkimer County Legislature and administered by Cornell Cooperative Extension 4-H Youth Development. This entry was posted in admin and tagged 4-H on April 23, 2015 by Gina Greco.